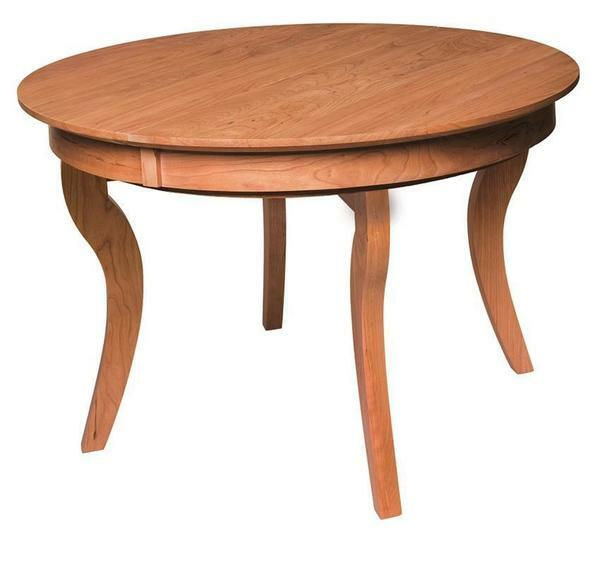 The Amish Ripple Back Round Concave Extension Table presents an edgy, modern look with its concave legs! This extraordinary look has indentations in the legs that will draw the eye, while the smooth round, table top will make an impression! Extension tables seat more people and provide more room for projects, games or simply to put all your delectable dishes on the table. Available in 42" x 60", 48" x 66" and 54" x 72"
Consider our Ripple Back Round Dining Table with Concave Base for smaller dining areas.